Without any enunciation, punctuation or eloquence let me say this – You have disappointed me a lot and with all probability many others as well. Don’t get me wrong here, since I have my support still intact with you and I genuinely believe you are in a mission to accomplish something good for the nation. I also have no hesitation in sticking my neck out and say if you are dishonest with your intent then no one in India is honest. That said I still feel you disappointed me and many with your latest protest against all political parties. I am not saying any of our political parties are saint but the way you tried to be in good books of few and your effort to garner back some lost support from our mainstream media is little disheartening. Disheartening because, I get a feeling that you slowly but surely drifting away from the core agendas set by you only. Disheartening because, the movement which we thought in true sense is by, of and for the people is turning little political. In a post of mine, I showed my dissatisfaction on the decision of Anna and his entire team, which also includes you to go political henceforth. While the idea of having an honest party at the center is always enchanting, I feel the need of protecting the core ideology is paramount. I have no qualms in seeing you as our next home minister or something else. That would be a pleasure to say the least. But what about the interest of the populace, Arvind? I mean, would it be entirely fair on your part to hijack the issue of corruption into a political agenda just like that? Do you think in any way it is justice for the masses who stayed with you, starved beside you and even took the Laathi of our unruly and highly corrupt government? Do any way you feel your idea of forming a party makes any sense to those thousands and millions who travelled from every corner of this country (few from outside as well) to stand beside you at Jantar-Mantar or elsewhere? Certainly not Arvind and I am sure you also know this but for reasons best known to you, you are trying to overlook it as a non-issue. Or is it a prerequisite for one to be ignorant of the people whom he/she feels are his/her support to be in politics? Are these early signs that you’re molding into a true politician block even though you are yet to come up with your party name even? This is a bit disgusting Arvind since I as an individual feel cheated. Now let’s ponder on your latest protest against corruption and the corrupt. What struck me most in the entire drama is the sidelining of the core issue. I never felt corruption is anymore the core issue of your agitation. With all honesty, could you please elaborate the specific reasons that made you take BJP’s name alongside Congress for the first time? Throughout the day I felt as if you are intentionally trying to take the name of BJP, so as to prove the world that your motive never was only against Congress but corruption. I mean, I for all reasons believe, BJP can’t be vastly different from Congress when it comes to corruption but the realization of yous' on this small fact seems to have come very late. That is not expected from a serious person like you Arvind. For all I know, you are having this movement against corruption since last four years but never heard you taking BJP’s name ever. I know the simplistic answer from you could be the ruling government theorem. But if that so, why take BJP’s name now? BJP couldn’t have turned one corrupt party to come under your scanner in a matter of few months since you started your agitation. Could they? If you now feel they are so much corrupt that they deserved to be lambasted and lampooned alongside Congress, then with all probability they would be the same when you started your agitation. Why didn’t you bundle BJP along with Congress from Day-1? Why didn’t you showed the same veracity against BJP from the beginning? That is where I feel you missed the plot Arvind. If you think, by taking BJP’s name you have proved yourself as a neutral observer of corruption then let me assure you, you might have failed at your attempt by a yard or two. It rather has assured many that while you were against the rampant corruption prevalent in our governance, somewhere within, the attack was not entirely against the corrupt but the corrupt of the UPA or more specifically corrupt from the Congress. What else can convince the sudden discontent of yours against a party whose big jacks not only once shared the same platform with you at Ram-Lila maidan but even went ahead on open forums in pledging their support for the movement? Didn’t you know then about the corrupt avatar of BJP? If yes then how can you allow top leaders of a corrupt party be on the stage which was erected specifically to eliminate the corrupt? Something is missing badly here Arvind. Either at that time you were never aware of the corruption of BJP (which is anything but believable) or you intentionally are popping up BJP’s name now to showcase yourself as a neutral messiah. Trust be with me Arvind – either way it looks funny and scary as well. I know Arvind, you might not agree but there is a slight ‘please all’ syndrome with your latest agitation. And I won’t be at all surprised if I see our mainstream media at the top of that please all list. It is no secret that Anna’s movement was made a larger than life phenomenon initially by our media. It is no hidden fact that our media helped a great way in having people in thousands throng in to the fast venues of Anna. But that seemed like changing for last few editions. They suddenly appear less interested on what Anna has to say or where he is fasting. I don’t blame the media for that since they also have to keep doing their business here. Looking at the despicable attitude of our pathetic government, I am sure they might even have arm-twisted the media houses to stay away from Anna’s fast venues. And you should also appreciate that they have to comply since it boils down to their survival and as it is there is nothing called ‘Free fourth estate’ or any of that nonsense anywhere on this planet. But does that mean you bring in BJP’s name just to take the support of the media houses? I must say, you succeeded to some extent since you were a darling for the media for whole of yesterday since you finally equated BJP with Congress in the same yardstick. But then Arvind; what about the support of the millions and pretty unconditionally at that? Don’t you have faith in them? Don’t you think they are enough for you to bring in the required change, with or without the media support? If no, then you could have played the game with the support of the media to start with like any other political party does. Like Congress, you could also have attempted at buying few media houses to shove your agendas to the every bedroom of the nation. This is not acceptable Arvind when you urge the nation to have faith on you and your team but never show the same for the millions who are supporting you. I could sound harsh but truth be told, it is kind of a betrayal to many. I am writing this to you Arvind because I fear you yet again are falling into the hands of Congress party. I wouldn’t have believed, you could do such hara-kiri few months back but since you once fall into the hands of the dirty tricks when you announced your intent of floating a political party, I am now scared you might fall again. By taking the name of BJP, you might have helped the Congress who are in real sense are corrupt and a blot to our democracy. You have further aggravated the debate of “If not Congress who else”. You knowingly or unknowingly forced people to believe they have either the devil or the deep sea to choose while casting their vote in 2014 or may be earlier. And believe me Arvind, that’s what the Congress party precisely wants you to do and self-alienate from any kind of political support. What Congress wants you, is to shoot yourself in your foot and strange enough you are joyfully complying them. I am no match to you Arvind in any manner to even suggest you on what you should do, let alone criticizing your steps. You are far, far more accomplished, capable and matured than me on whatever you are doing. But still I see galaxy length gaps on the thought process of yours’ of late. I am only surprised how being such a brilliant mind you haven’t yet picked the mistake yourself. So Arvind, this letter is more a surprise than dejection. I hate to agree to whatever you say but still there is some fact in the write up. I second your views in more than one point. Dont blame AK. Whatever he does, will reinforce anti-incumbency against the CONg n it will help BJP. Dont worry! CONgress will b buried under an avalanche. Dont muddy d waters, lik CONg is doing, on twitter! They WANT u 2believe AK is sold. DONT. But my evaluation says that AK may be derailing from his main agenda but that's happens when you are dealing with bad and shrude politics, and then you realize that none of your "Standing-Outside-and-cleaning-the-gutter" is not working. Then you have to change the track as AK did announcing joining politics and then you'll see some mistake because AK might have never planned joining politics earlier, but I guess he is also just learning in front of these Rhino skinned politicians. I want to start saying, I am not eligible to critize or comment on things done by AK or ANNA and team, purely because I havent particpated in any of the events. I tried to read the comments in any article or blog and mostly see, people get split on various things. What i would like the leaders to do is, clearly comeout with a plan and make things happen. It wont be an easy task to fight against corrupt and based on that get elected in the next election. The people who come and vote are different and their expectations are different and they are satisfied with what they get on the day of election or the false promises..
shut UP! AK has done right. It is easy to write poetry while sitting at home in a A/C room. Change will not come by sitting helplessly at home. Will have to come out and be the part of change. Only a single advise for AK is to be a little political otherwise you will be griped badly by these khangressy..
His agenda is corruption and lokpal but along with it he also has to cowtow to his main funding sources from abroad. Ford foundation does not like BJP or any opposition party, neither does it like Ramdev. Sadly instead of uniting and fighting corruption together AK Bedi Ramdev Anna and the rest of them are all fighting separately. India is truly a divided country. Thanks to an idiot called NEHRU!! JUST I WOULD LIKE TO REMIND YOU THAT YOU START AGITATION AGAINST CORRUPTON.IN YOUR AGISTATION MOST THE PUBLIC AND MEDIA WAS STANDING WITH YOU, DIRECTLY OR INDIRECTLY. BUT NOW WHERE YOU ARE STANDING? DID THE PUBLIC SUPPORT TO MAKE YOU A PARTY? WAS IT PRE PALN TO STAND A PARTY?NOW A DAYS ALL YOUR MEMBERS ARE PULLING THE LEGS OF EACH OTHER.MAY I KNOW WHY ANNA IS NOT WITH U? DO U THINK ALL THE NATION PEOPLE SUPPORTING YOU TO MAKE THE PARTY.WE ALL SUPPORT TO THE NON POLITICAL PARTY BUT NOW YOU ALSO PLAYING GAME WITH ALL WHO SUPPORT TO YOU. I think AK is right whatever he is doing, because once you decided to go political (why one should die on the hunger strike infron of these senseless politicians) there is no looking back on that. He has to lead the entire movement forward now and there is no much time left to form a nationwide party also he is new to the politics. One more question I would like to ask, if you are not satisfied with AK what he is doing, are you statisfied with rulling party and the apposition??????? Do you think they are the future of our great nation?????? 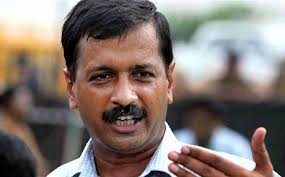 will arvind k voluntarily resign - if he gets elected - but later voters felt he is not up to the expectation and publicly ask him to resign? in otherwords does he LIKE TO BE RECALLED? VOLUNTARILY ? This shows AK is good as a person, but a kid when it comes to politics. And hence he should not join politics. Today when there is an anti-kangress wave, why do you want to split opposition votes? Kangress supporters will always vote for them as it suits there purpose. The dalit will vote to party that is successful in showing them the best carrot. Same with minorities. All above this sentence will go for Kangress. Remaining of the voting populance is split between regional parties (atleast 2 in each big state), BJP and now AK party. Some from this group too votes for Kangress in exchange of fake 500 notes, english daru, sarees etc. So do the math, and you will see that Kangress is near power again in 2014. AK is taking the air out of the anti kangress wind. Had he not formed a party, he with Anna could have converted the winds to a cyclone. Once Kangress is back in power the IAC novement is a packed bag. So u want BJP in.. Why cant BJP voters vote for AK for a change..